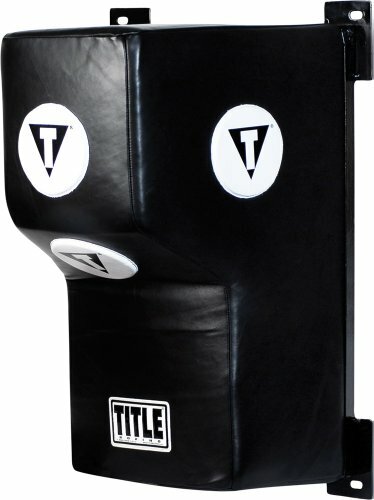 The Title Wall Mount Heavy bag, (I’m just going to use ‘mount bag’ for short) is a hybrid of a heavy bag, kicking pad, and training dummy. It allows for most basic and common techniques to be thrown such as hook punches, front kicks, knees et cetera, in addition to savvier techniques thrown from angles such as uppercuts or Japanese round kicks (round kicks that make impact with the ball of the foot). But it does completely restrict certain techniques like low kicks, and normal round-kicks (kicks that make impact with the shin) from certain angles. The mount bag is an interesting piece of equipment that allows for more specific types of training methods, that you could not find in your traditional heavy bag or kicking pad. However, it has many drawbacks as added benefits. While it has very similar uses of normal heavy bag, the most notable thing about the mount bag is that it’s rectangular. It shares resemblance to that of a basic kicking pad, as opposed to the normal round shape of a heavy bag. Instead of hanging from a chain; they are actually screwed into a wall, giving it a similar feel to stationary practice dummies. The second most notable aspect about the mount bag, is that it has a protruding upper portion with four pad targets. This area is used to practice head shots. One is located on the front, which allows for straight shots. Then there is on each side where one would normally throw hook punches. And lastly, a target pad on the bottom; which allows for techniques such as distinct and definitive uppercuts. The bottom portion of the bag is flat and very thick, and can be used for body punching or aggressive knees. The fact that the upper portion of the bag protrudes outwards, forces the user to properly adjust his or her body as they would with an actual opponent; i.e by changing levels, and/or shifting to the side when throwing punches to the body, or extending the hip inwards while throwing knees. Overall, the bag does a wonderful job of matching the contours above the waist of an opponent who is in his/her guard. The fact that the mount bag is drilled into a wall, helps greatly with its durability. No matter how hard you hit the bag; it’s not going to move. The only thing you really have to worry about in regards to wear and tear, is the painting on the bag from extended usage. Or the structural integrity of the wall that it’s drilled into. However, as long as it’s drilled into drywall, you shouldn’t have a problem. The stationary nature of the mount bag is both a gift and a curse. To give a few examples: since it doesn’t move, you never have to recenter the mount bag after throwing heavy blows; no matter how hard of a hitter you are. Nor do you have to adjust yourself or wait for the pad to get within range, for you to continue hitting it with your combos and/or techniques. On the flip side, it also has some short comings because of this. To name a few: it gives an unrealistic sense of resistance that you would normally get from hitting a human being. Regardless if you were to hit a trained fighter or not, the natural human reaction is not to stay still. Historically, the only fighters that found success while being relatively stationary, were able to get knockouts in fights very early. Otherwise, they’re on the opposite end of the spectrum. The fact that the mount bag is stationary, also gives an unrealistic sense of timing. The degree of hand-eye coordination of hitting a heavy bag, focus mitts or thai pads, and especially an opponent; is much greater than hitting a target that is constantly at rest. In the realm of Combat Sports nothing ever stays still. Regardless of the obvious drawbacks of the bag, it is still incredibly useful and can provide a tremendous amount of benefits to your training regimen, as long as you know what you’re doing. I mentioned earlier the protruding top portion of the mount bag allows the practice of many techniques that are thrown from angles such as upper cuts. In fact; this piece of equipment is perhaps the best alternative in regards to practicing your uppercuts, aside from focus mitts or a sparring partner. It is also the very best form of equipment when it comes to throwing knees to the head. As the saying goes: “if you can’t do it slow, you can’t do it fast”. The fact that this stationary mount bag allows you to throw extensive combos with a variety of techniques that otherwise could not be practiced on a conventional heavy bag, should tell you enough. It also allows the user to fine tune specific movements at a slower pace, without having to worry about the target moving out of range. And it even allows practice at a fast and exhilarating pace, for the sake of cardio. Techniques From Angles: Uppercuts/Overhands etc. Basics are always going to be paramount in ring sports, but it is also very important to be as savvy a fighter as possible. Uppercuts, shovel punches and overhands are very useful techniques that can give you an edge over your opponent and perhaps even turn the tide in a fight. 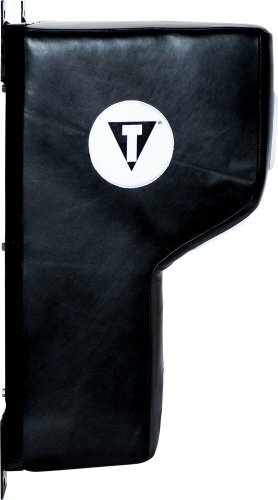 The bevel shape bag allows fighters to throw uppercuts and over hands (fists and elbows) as well as other techniques from different angles, almost to the same effectiveness as if they were hitting focus mitts. The swollen top half of the bag works as a target for headshotsThe tapered center of the three in one bag is the most excellent kind out there for practicing knees. This bag requires the user to fully trust their hip inwards and upwards while throwing knees. The way you would have to throw a knee to optimally hit your opponent in the sternum. Just because the wall punch pad does not move, doesn’t mean that you should not move either. By stepping off at an acute angle, you can throw round kicks to the body and possibly to the head. You can also practice combos that primarily involve stepping off at angles, to land shots to the kidneys and rib cage. Even though the bag doesn’t move; it still requires proper form and technique in order to be used properly. 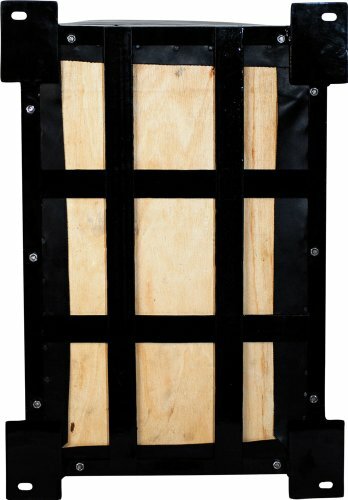 While the 'Title Wall Mount Heavy Bag' does provide its own unique usage; it does have some fundamental drawbacks to it. However, I would still recommend this piece of equipment for any gym or fighter looking to fill up space in their facility, or simply to try something new. It does make a great alternative to the conventional heavy bag. It could bring benefits to people of all skill levels and fighting styles. 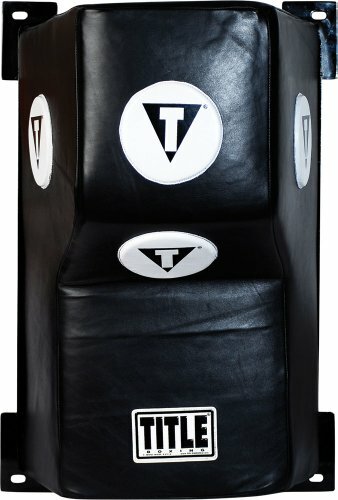 TITLE Wall Mount Heavy Bag was bought at our gym for the full price. This did not influence the outcome of the review, which was written after several months and many rounds of training.